In western society we all take “Clean Water” for granted and have the expectation that it is our right to have clean water piped to our homes. Most of us never give much thought about this precious necessity of life! Several years ago, I was approached by a principal from a school on a remote island in the South Pacific, part of the Cook Islands group, who was looking for information and solutions for water treatment at his school. This island was relatively small in size, less than 25 square miles, with a population of 500 people and only one school of approximately 200 students, ranging in ages from 6 to 16. The drinking water for the students in this school was rainwater collected from the roof of the school and deposited into a very old concrete tank at the side of the school. At the bottom of this tank was a rusty old hose faucet which was accessible in a pit under the tank, about a meter square. The students would step down into this pit, lie on their back, open the tap and get a drink of water. When I first arrived at the school the pit had a dead bird in it, along with litter that had blown in. Rainwater collected from a roof typically washes bird and gecko droppings from the roof into the tank, and it is very common to find dead birds, bugs, etc. in the tank. Shocking to imagine this was the only source of drinking water for 200 kids, in our modern world! Schools in the Cook Islands have very limited funding from the government resulting in a lot of their expenses and purchases being covered from local fundraising or donations. We arranged to supply and install one of our UV ( Ultra Violet) systems with Carbon and Sediment Filters, combined with a pump to take water from this tank and distribute it through several outlets for students to get a drink and fill their bottles. We discounted our price to only cover the cost of the parts and absorbed the expenses of my labour, flights and accommodations for 4 days. I really wanted to do the entire project for free but could not at that time. Previously, we had applied for a UN grant through the British Gov’t to do all the schools in the Cook Islands during the year of the UN mandate to provide every person in the world with safe drinking water. We made it to the top of the list but did not get the grant in the end. The installation took about one day and upon completion, the principal had arranged for the local priest to come and perform a Blessing of their new water treatment system. All of the teachers, students and principal attended the Blessing. Following this, every teacher came up to me and hugged me and kissed me on the cheek (a local custom) and all 200 students lined up and came over to shake my hand and thank me for their new system. It was only then that all the students lined up with their bottles or glasses and filled up their container with their safe, clean water, all the time laughing and singing! The Cook Islands people are the most friendly, happy people I have ever met! I was overwhelmed with emotion; such a simple task for me , but a huge event for them! Definitely one of the most humbling and rewarding experiences of my life! Really makes you appreciate what we have. For the next three days while I was waiting for a plane to take me back to the island of Rarotonga, I walked around this amazing island and everywhere I went people came up to me, smiling, thanking me and shaking my hand or hugging me with a kiss on the cheek. 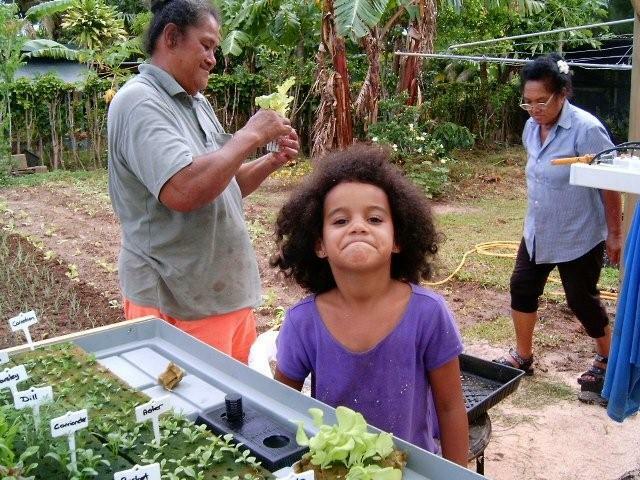 We went on to install systems at over 30 schools in the Cook Islands over the next few years and build some great green houses and agricultural systems too. At MineralPro we have the expertise and products to provide clean drinking water to just about any size project from a downtown apartment to a south Pacific countries school system. If you have need of clean water give us a call. We will be happy to help you pick the right solution for your needs or we can design an entirely custom solution! Call us at 1-855-586-6667!